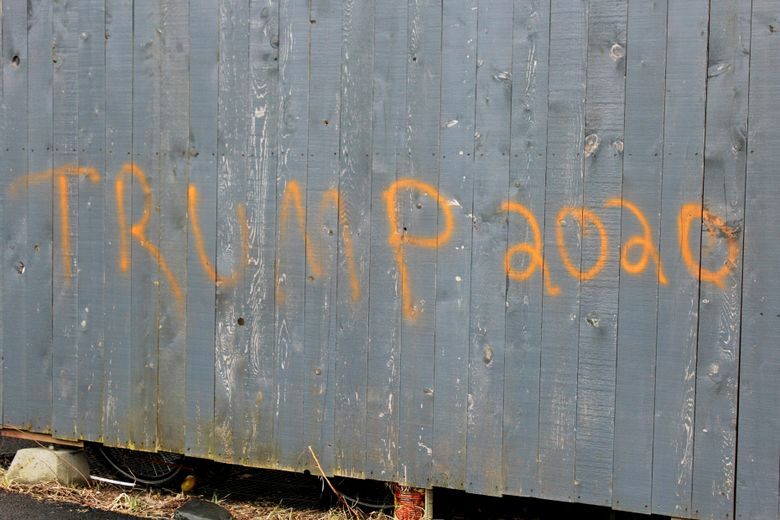 The owners of Wasabi’s Bistro near Homer in southern Alaska found racist messages that had been painted Wednesday night or Thursday morning, the Homer News reported Thursday. 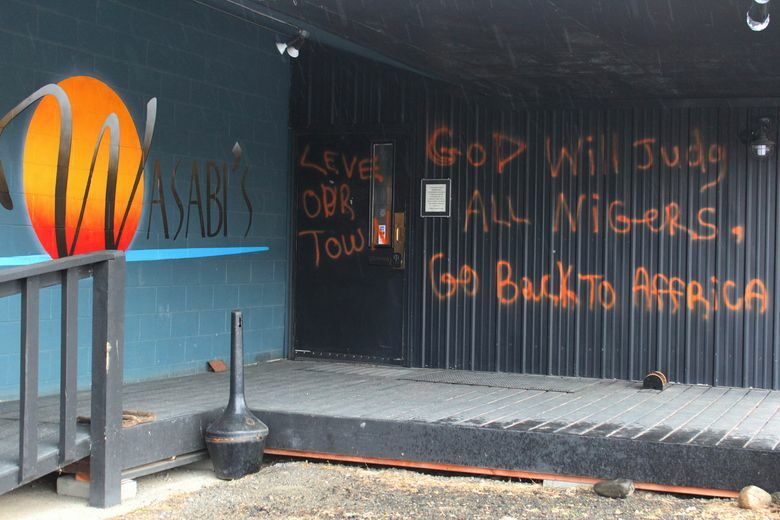 Police say the owners reported the orange spray paint messages that included a racist epithet, “Leve (sic) our town” and “Go back to Affrica (sic)” on the building’s exterior walls. Belmonte said the vandalism is “saddening” and that the property has suffered previous vandalism including a gunshot hole in a wall and damage to a car. “I hate to make it political, but obviously it is,” Belmonte said of the Trump slogan, adding that the situation has deteriorated since the 2016 election.